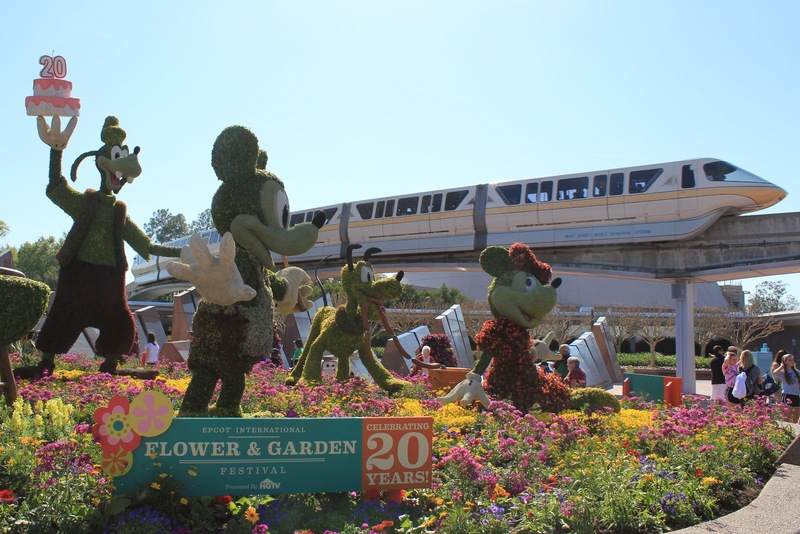 Wednesday kicked off the 20th Annual Flower & Garden Festival at Epcot, one of my favorite times of the year at the parks. 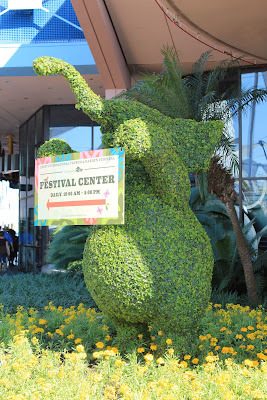 I spent my first day at the event Friday, and was impressed as always at the beautiful flowers and creative topiaries. 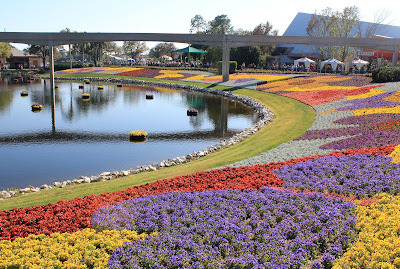 Since this was only my second year attending the festival, it was my first experience with the re-use of some of the garden designs. I love seeing some of the best return, but it does mean that many of my pictures and views from last year are still relevant. 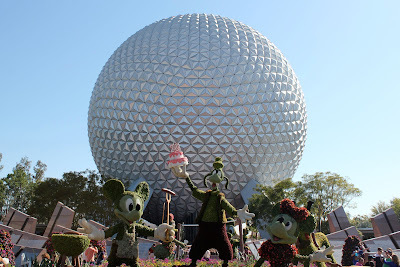 What is different this year is the addition of food and beverage booths located around World Showcase. Slightly re-theming food locations from the Food & Wine Festival, these booths feature foods that feature fruits, vegetables, and herbs. 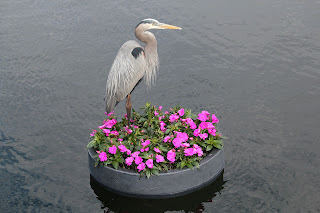 While I'll write more about my food experiences later, I will say that the offerings are delicious and feature a nice variety. 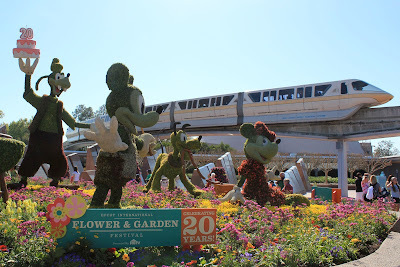 My wife was not a fan of most food offered for Food & Wine, but found more than enough cuisine to love at Flower & Garden this year. The entry plaza garden and topiaries are themed to a traditional barbecue this year, featuring Mickey and friends. 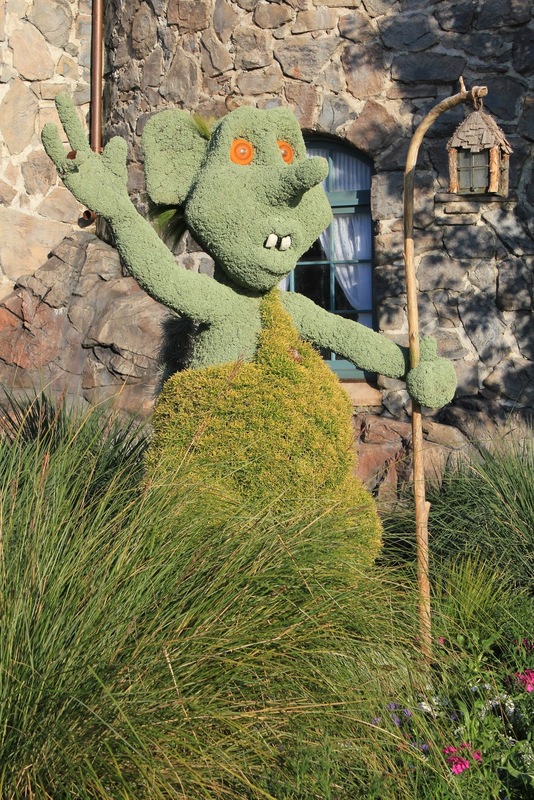 It's a fitting theme to go along with the new food focus of the festival. 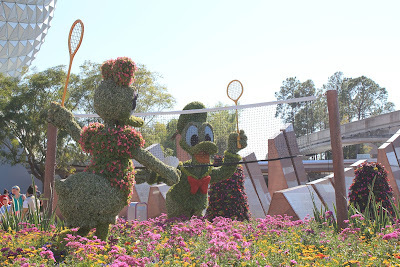 There's even Donald and Daisy playing badminton. 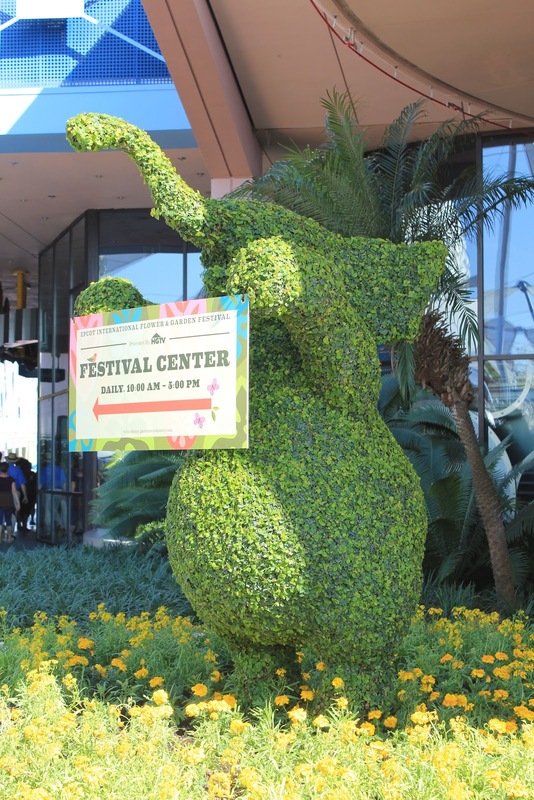 While the Festival Center is largely unchanged from last year's design and set-up, signage is creatively held up by the topiaries themselves. 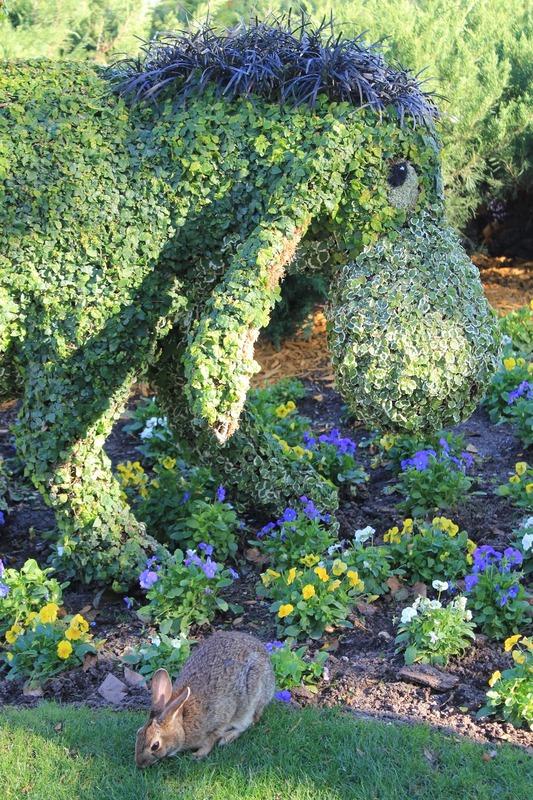 This elephant especially stands out as a great use of a figure. The JAMMitors, Future World's trash can percussion band, have switched to a gardening theme temporarily. 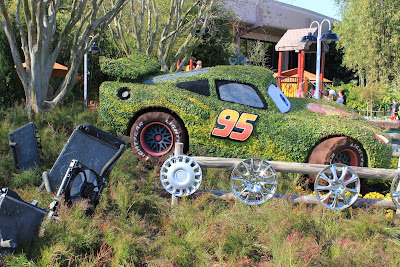 In place of last year's Pixie Hollow, a Radiator Springs garden and playground features Lightning McQueen, Mater, and car parts littered across the ground. 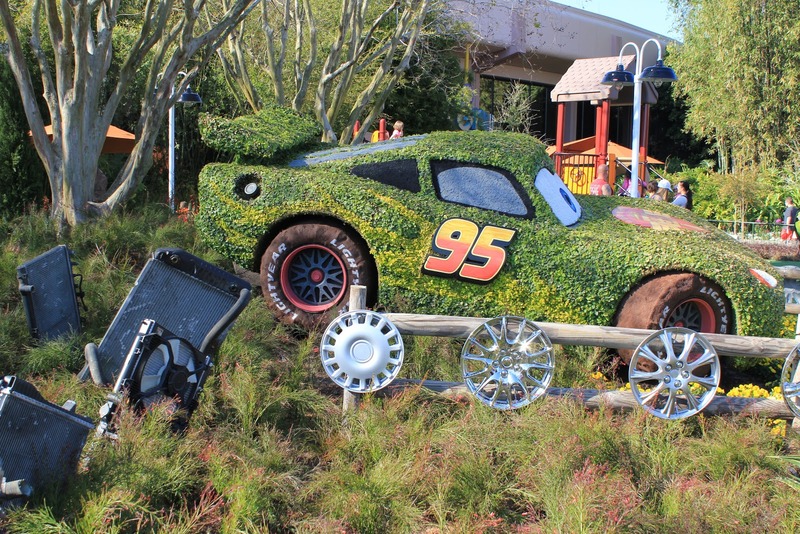 I'm assuming it's supposed to look like they're growing out of the earth, but it unfortunately resembles the start of a junkyard more than anything. 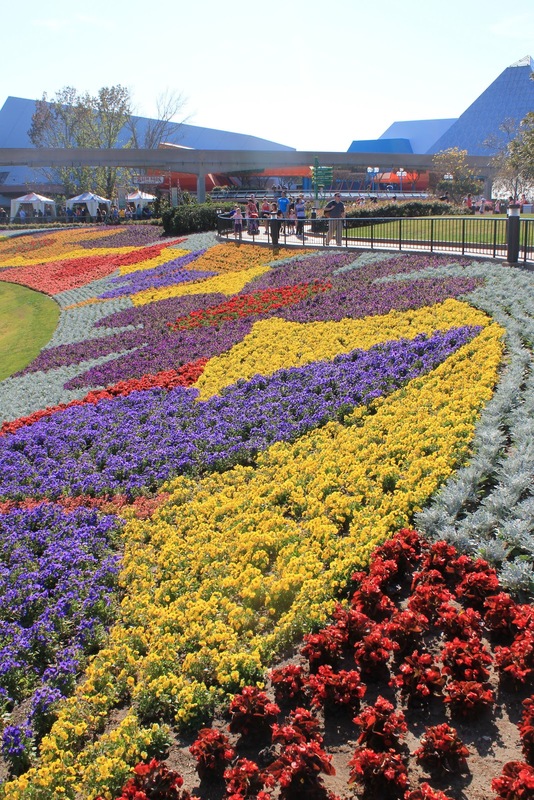 The flower beds between Future World and World Showcase continue to be a stunning highlight, with some of the best use of color in the entire event. The butterfly gardens also return this year, though Tinkerbell and the rest of the faeries now reside here instead of Bambi. 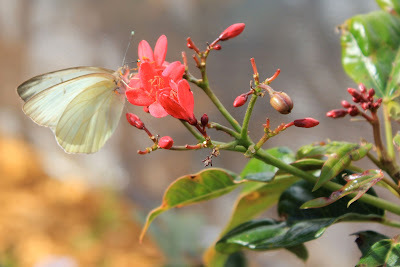 I find the real butterflies are still far more interesting than the topiary faeries. 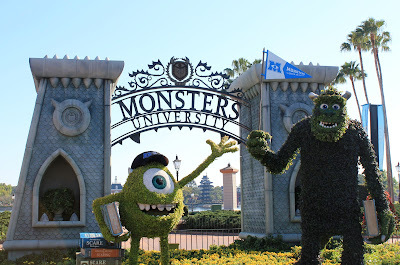 Welcoming guests to World Showcase is a giant display for the upcoming film Monsters University from Pixar. 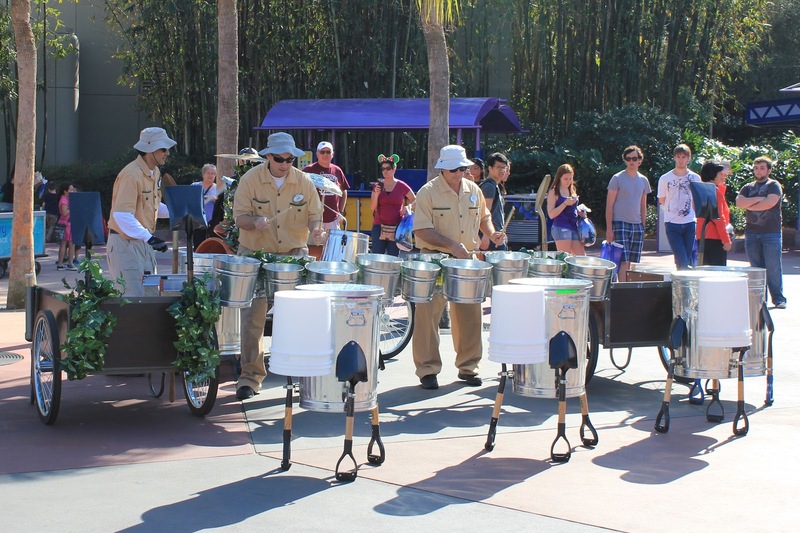 As a nice additional touch, nearby speakers play tracks from the Monsters, Inc. soundtrack. 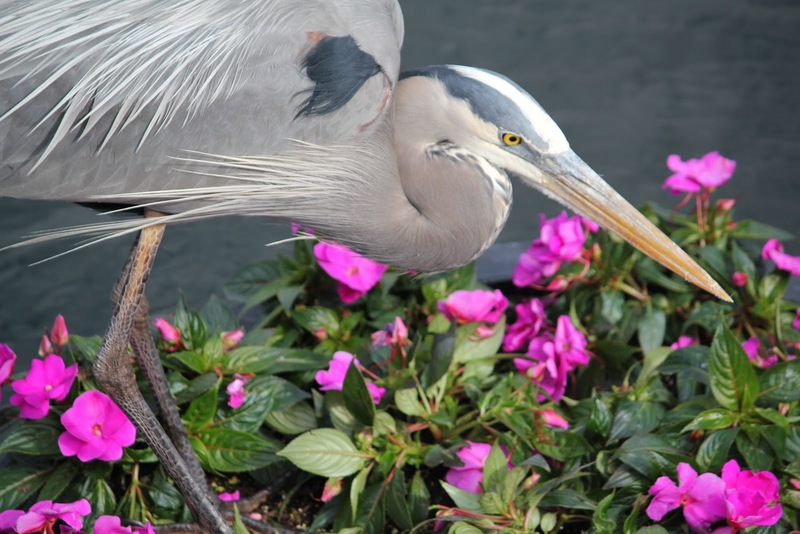 One of the extra benefits of the festival is that it attracts even more wildlife than the parks usually feature, and gives them more places to hide. Ducks foraged through bushes and plantings. Rabbits enjoyed eating from the flowers and restored grasses. 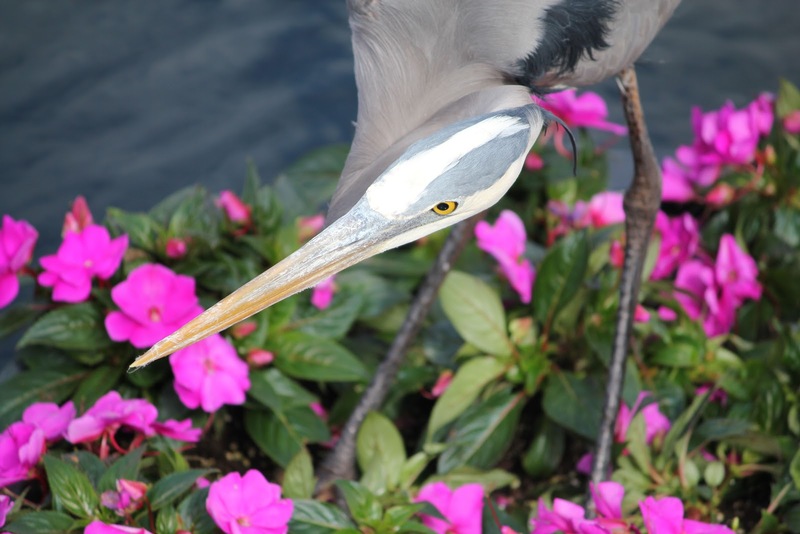 Floating planters were even commandeered by a blue heron, who used them as a base for catching fish. 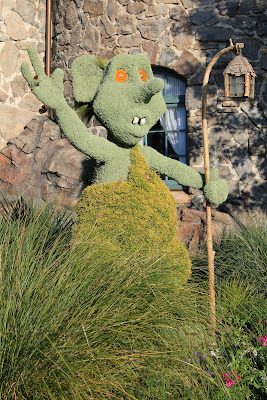 I finish this first look with Norway's troll topiary, which I heard described both as a "weird looking man" and "Remy from Ratatouille." In the case of the latter, I'm pretty sure the people looking at it were rather drunk. 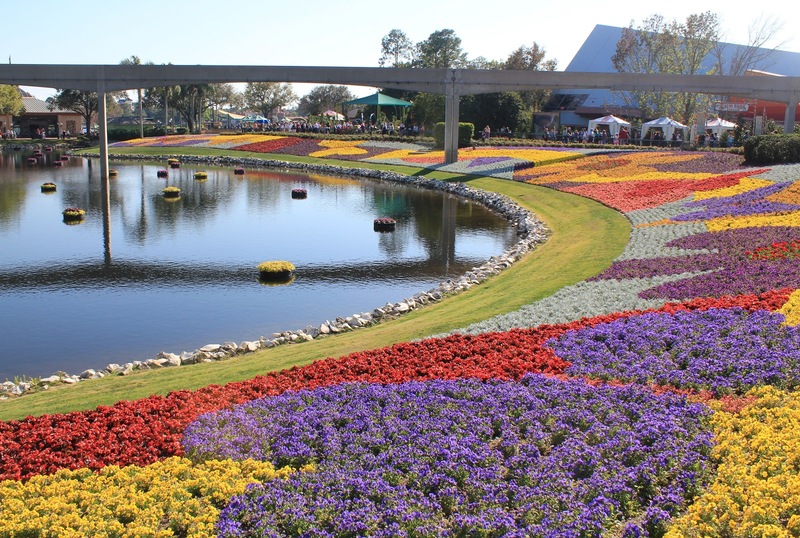 I guess this proves why this years Flower & Garden Festival is the best yet. 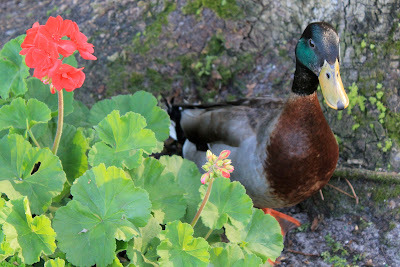 Gorgeous flowers and plantings are wonderful to see, but they become downright amazing when combined with fruity wines.